Let’s say you are a doctor, and you have to go to the hospital immediately because someone’s life must be immediately helped, and it is in your hands. You drive a car at high speed, on the road you are stopped by a policeman because you are speeding, you will be ticketed. The police do not want to know if you are pressed, because a patient you have to save. What is clear is that the police are carrying out their duties according to the rules, you must be ticketed, on the other hand, you also have a heavy duty, which is to save a patient. 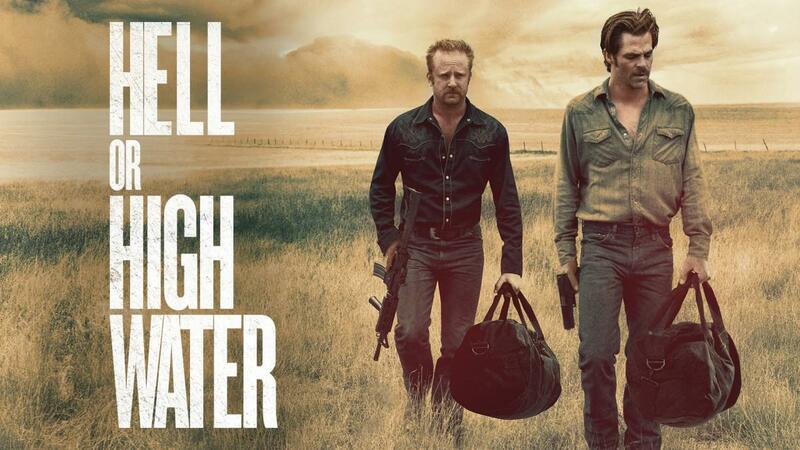 Well, that’s the term for Hell or High Water (2016). Directed by David Mackenzie, Western / Action movie genre has amazed me, David has made this film with a simple nuance but with an unpredictable storyline. For the players, I have no doubt the expertise of Chris Pine and Ben Foster in carrying out their actions. I myself bought this film online because I love Chris Pine, I don’t need to tell a few films that he has played, almost everything is perfect. First I got to know Pine in the Star Trek series, Wonder Woman (2017) and Jack Ryan: Shadow Recruit (2014). In this film, I see a different character from Chris Pine, even though there are a few similarities when he starred in Jack Ryan. This film tells about a pair of robber brothers, who was forced to rob a bank to improve the lives of his next descendants. Toby Howard (Chris Pine) expressed the reason they robbed the bank to a Texas Ranger, Marcus Hamilton (Jeff Bridges) when visiting his home in West Texas. The reason is that they have lived in poverty for years, from generation to generation, he also said that their poverty was already like an incurable plague. Toby Howard and his big brother, Tanner Howard (Ben Foster) have different characters, even though they are a pair of compact siblings. Initially, the Texas Midlands Bank robbery run smoothly and professionally, they don’t kill anyone, and they always avoid killing. When robbing, the couple only took money in a desk drawer, only pennies, they did not want to take a large amount of money. Unlike the younger brother, for Tanner, robbing was his hobby, he had even exceeded the limit for robbing a bank without planning it first. This is where the story of the pursuit of them begins. Although their work can be called a criminal, calm down! the audience will be presented with a happy ending. The police could not trace all the results of their robbery, because Toby had handed over all the assets in the name of his son. Prolonged poverty has urged a father to find a way out, even though it is not for himself. With a budget of around 12 million US dollars, the High or Hell Water is able to reach 26 million US dollars only from domestic circulation. So, don’t hesitate to watch this movie with your friends. Greetings Trybers! wow, interesting movie, lets we wach together. This was a great film. I’m surprised they made it on such a tight budget. Right! Chris Pine dan Ben Foster tidak diragukan lagi. An interesting lesson for us from this movie. It sound interesting movie, but I don’t too like action genre. Yeah, I’ve seen this film. It’s not may thing usually, but I like Jeff Bridges. You made me wanna watch it!